The 10 Best RV Trips To Take In Ohio - Must See! When most people picture Ohio, they likely think of big cities, skyscrapers, and rock n’ roll. But Ohio is much more than the sum of its most populated parts. And while its cities are home to an array of important cultural institutions, much of Ohio’s charm can be found just beyond the boundaries. With Lake Erie to the north, the Appalachian Plateaus to the east and a handful of powerful rivers throughout the state, Ohio offers a variety of outdoor activities. 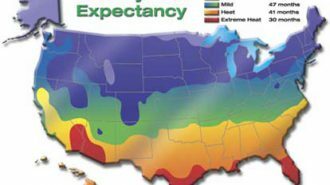 A portion of the state sits in the Great Lakes’ Snowbelt, so there’s plenty of opportunity for cold weather adventurers, too. From rural farm towns to modern-day metropolises, Ohio’s Midwestern vibe is prevalent throughout the state. Ohio natives love their football and their chili, and they’ll gladly point you in the direction of the best diners in town. Time moves a little more slowly in the Buckeye State and neighbors are friendly. 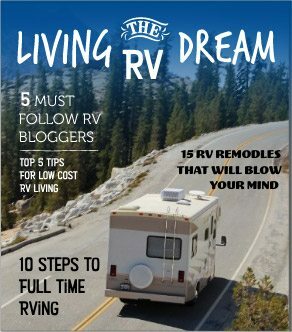 Don’t be surprised to find a wealth of RV dealers in Ohio either, as it’s a popular state for RV trips. In fact, Ohio is even home to RVshare’s headquarters! Whether you’re a city slicker or a country bumpkin, Ohio has it all. On this list, we’ll include a few of the most popular destinations in the Buckeye State, as well as a few hidden gems. So, adjust your mirrors, buckle your seat belt, and get ready for an epic road trip through Ohio, “The Heart of it All”. 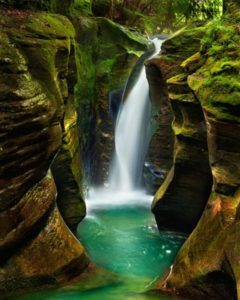 Hocking Hills may be one of many state parks in Ohio, but it consistently tops the list as the best. It’s home to some of the most diverse scenery in the state, including a handful of impressive waterfalls. Corkscrew Falls lies deep in the forest and a bit off the beaten path. It takes a little extra work to get there, but you’ll be rewarded with uninterrupted views of the twisting, cascading waterfall. There’s much to do throughout the area aside from hiking and chasing waterfalls. There are three major zip line tours throughout the parks. The newest, Soaring Cliffs, is a series of lines over an expansive natural gorge. Rafting, canoeing, archery, and horseback riding are also popular activities when the weather permits. There are two well-known campsites in the area, the State Park Campground and the Logan KOA and gem mine. The state park campground offers electric hookups and primitive sites, and amenities include a camp store, swimming pool, and outdoor activity courts. 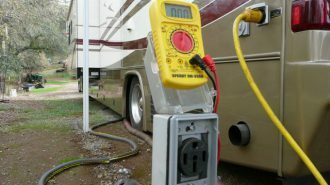 The KOA has deluxe sites with full hookups, cable, and Wi-Fi. Rates are unlisted, visit the sites for details. Let’s hope you have a strong stomach, because we’re taking you to the roller coaster capital of the world next! Cedar Point is a picturesque peninsula on Lake Erie. The amusement park dates back as far as 1870, when developers began building attractions to bring tourists to the region. 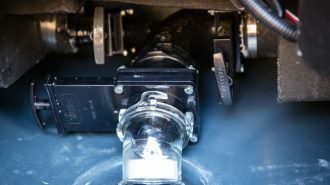 Over the years, it collected dozens of awards and world records, including awards for some of the tallest and fastest roller coasters on earth. It seems Cedar Point opens a new attraction just about every year. In 2018, guests will get to enjoy the brand-new Steel Vengeance, a hybrid wood and steel roller coaster that stands over 200 feet tall. Don’t worry, though, if roller coasters aren’t your thing; Cedar Point has plenty of other attractions everyone can enjoy. From animatronic dinosaurs to antique car rides, there’s enough variety to please the whole family. Price: Tickets vary widely by age, duration of stay, and promotional offers. See site for details. 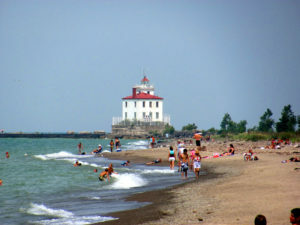 Lighthouse Point is Cedar Point’s designated RV campground. 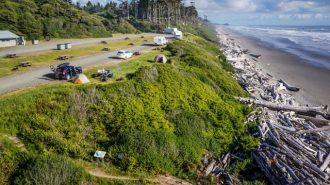 The campground sits right on the shore and offers full hookups, cable, and Wi-Fi. 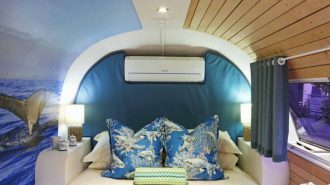 There’s a selection of waterfront cabins and cottages as well. No matter how you camp, though, you’ll be just steps away from all the excitement Cedar Point has to offer. We’re heading to the city for this next one, as Cleveland’s Rock and Roll Hall of Fame is simply something you can’t miss while in Ohio. The Hall of Fame first opened in Cleveland in 1986, with the expanded “Rock Hall” opening nine years later. 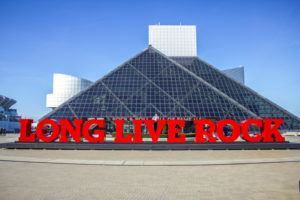 Cleveland has seen many rock and roll firsts, including the first rock and roll concert and the WMMS radio station, which gave rise to world-famous artists like David Bowie and Bruce Springsteen. So, it only made sense that the Hall of Fame should call Cleveland home. You might want to block off a few days to visit the Hall of Fame if you want to see all there is to see. Permanent and temporary exhibits grace each of the building’s six floors. From the origins of rock in the 1950’s to modern-day living legends, the Rock and Roll Hall of Fame covers it all. Don’t miss the weekly events at the Rock Hall, either. You can catch live music, film screenings, and interviews with local and world-renowned musicians. Price: $23.50 general admission, $21.25 for seniors, $13.75 for kids 5-12, free for kids 5 and under. American Wilderness Campground and Event Center is located in Grafton, just south of downtown Cleveland. 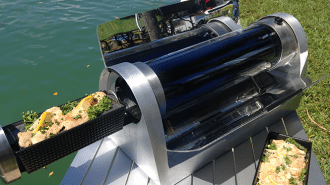 It’s a beautiful campground that offers sandy beaches along its lake, a separate fishing lake, boat rentals, tiki huts, and a wealth of activities and sports. 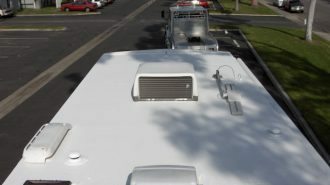 Rates start at $45 per night for a pull-through site with 50-amp service. Lake sites are an extra $5 per night. Our next destination brings us to Cincinnati, Ohio’s third-largest city. 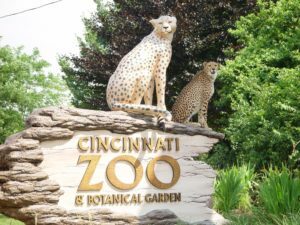 The Cincinnati Zoo is the second-oldest zoo in the country, and its Reptile House is the oldest zoo building in the U.S. It often tops the list as one of the best zoos in the United States. Even the animals at the Cincinnati Zoo have broken world records, from the world’s longest living alligator to the world’s fastest cheetah. The zoo is also home to a variety of unique breeding programs, including one of the few breeding programs for Bonobos in North America. The Botanical Garden is actually a series of gardens scattered throughout the grounds. Green roofs, rain gardens, and endangered species’ gardens are some of the most notable projects. The pollinator and butterfly gardens feature a variety of plants that attract bees and butterflies, and make a great spot to stop and snap a few photos. If you go in spring, don’t miss the 100,000-bulb tulip display that takes place each year. Price: Basic admission is $19 for adults and $13 for kids. As with most big cities, there aren’t’ usually many places to camp. The closest option to the Cincinnati Zoo is Winton Woods Campground. 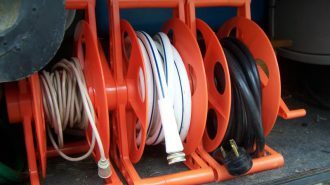 They offer 25 back-in sites with full hookups and 12 pull-through sites with full hookups. Amenities include a camp store, playground, Wi-Fi. The Winton Woods harbor is within walking distance. Rates start at $39 per night for back-ins. 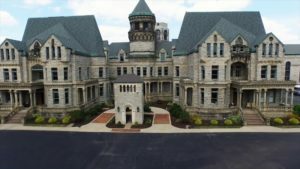 Built in the late 1800’s, Ohio State Reformatory was lauded as an effective step in prison reform. In its early years, it stood as a symbol for the humane treatment of prison offenders. However, nearly one hundred years later, conditions within the prison had turned grisly. Prisoners were being abused, brutalized, and murdered. In 1990, the prison was closed. Today, the prison attracts thousands of visitors each year. OSR is known not just for its stately architecture, but also for its Hollywood history. It’s been featured in films and TV – The Shawshank Redemption being the most notable, of course. It’s also reputed to be one of the most haunted places in the country. If you’re feeling courageous, you can visit the prison for a ghost hunting class or guided ghost tour. If you scare easily, you might want to think about walking the Shawshank Trail instead. Price: Standard, self-guided admission is $12 for adults, $10 for kids ages 7-17, seniors, and military, and free for kids 6 and under. Charles Mill Lake Park is the closest campground in the area, just a few minutes up the road. Many of their sites are lakefront and offer full hookups, in addition to dispersed camping throughout the woods. Amenities include a beach, swimming pool, outdoor sports and recreation courts, a golf course, and more. Rates start at $36.00 per night for a standard site with full hookups. Serpent Mound is one of many earthworks throughout the United States. These mysterious mounds were built by ancient Native Americans and can be found mostly in the Midwest. Serpent Mound is one of the most, if not the most, famous effigy mound in the country. The mound represents a snake with a curled tail. Recent carbon dating suggests that the Adena people built the mound as early as 300 B.C., though the true date is uncertain. 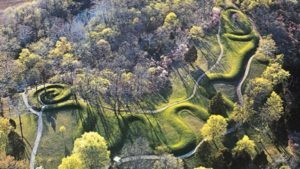 Today, Serpent Mound is a National Historic Landmark that’s known around the globe, and may eventually be included on the World Heritage List. The area surrounding the Serpent Mound sees its fair share of odd happenings. Crop circles, glowing orbs, and UFO sightings are just a few of the mysterious events that occur in the region. Stories of the mound’s purpose run rampant throughout history. A chain of underground caves below the mound only adds to the enigma. An afternoon spent with the Serpent Mound will surely have you coming up with some theories of your own. Long’s Retreat Family Resort has a ton of fun for everyone in the family. It has all the modern amenities you could want, like full hookups, a camp store, and playgrounds. But the most exciting thing about Long’s is the array of outdoor and water activities, including waterslides, miniature golf, go-karts, and more. Rates start at $40 per night. Check out our list of RV parks in Ohio for other top-rated campgrounds in the area. 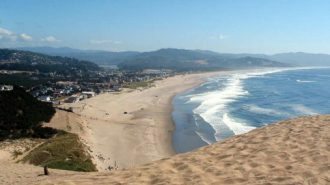 Headlands Beach is the longest natural beach in the state. During the summer, there are a handful of lifeguards on duty, and a central concession stand offers snacks for hungry beachgoers. On the far end of the beach, a breakwall provides a nice place to sit and fish for a few hours. Nearby trails offer plenty of opportunities to explore the park’s wildlife. The adjacent nature preserves north and south of the beach have an array of rare plant species and animal life. There are also several picnic areas and grills, in addition to a covered pavilion that visitors can reserve online. The Thompson/Grand River KOA is just minutes away from the beach and offers full hookup sites and a picturesque landscape. Amenities include a pond and swimming hole, a heated pool, gem mining, and outdoor activities and sports. 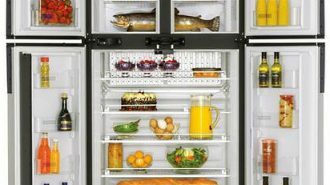 Rates averaged $44 to $47 per night in 2017, according to Good Sam Club. Rural Ohio is home to this throwback to Medieval architecture. In 1929, Harry Andrews began building the entire castle by hand, one painstaking stone at a time. Today, the castle functions as the home and headquarters of the Knights of the Golden Trial, a group of men who care for and guard the property. Tours are self-guided, though one of the Knights may take a few minutes to tell you stories of Harry and his castle. Or, you can stay overnight and be treated to a fully-guided tour – but beware, the castle is said to be haunted! Price: $5 for adults, free for kids 5 and under. If you’re too scared to stay overnight in the castle, the nearby Hidden Valley RV Park and Storage offers full hookups and year-round access. However, they have a one-week minimum stay. If you’re looking for something else, check out this list of RV parking in Ohio for more options. 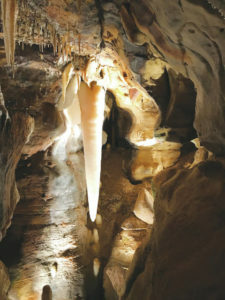 Ohio Caverns are the largest in the state and are one of the most popular tourist attractions in Ohio. Here, the humid cavern air is cleaner than the air above ground. It’s thanks to this moisture that these caverns even exist; dripping water has been forming these caves for roughly 400 million years. The largest crystal in the cave, the Crystal King, is one of the most famous in the world. There are dozens of rooms and formations throughout the cavern, many of which include rare mineral deposits and an array of colors. Whoever described the caverns as a place “where nature carved a fairyland” was exactly right. Price: Rates vary by tour package, but start at $17 for adults and $9 for kids ages 5-12. A & E Camping Resort is north of Ohio Caverns in Bellefontaine. They offer full hookups, onsite laundry, a camp store, and a bathhouse. Activities include boat rentals, fishing, swimming, and convenience to many area attractions. Rates are unlisted. Visit site for details. 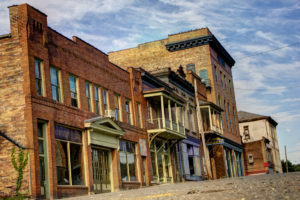 Shawnee is a village trapped in time – a cross between an 1800’s coal mining village and a modern-day town. In its heyday, it was the largest town in the area. But today, the population has dwindled to just over 660 people. Many of its abandoned buildings still stand, including an old ice cream shop, a bar, and a theater. What makes this town even creepier, though, is the juxtaposition of the buildings where people still reside. The town has an active library, police station and post office, a bar, and a few shops. Stranger still, the whole town was built into the side of a steep hill, giving many of the buildings an off-kilter appearance. It certainly seems to leave guests with an unshakable eerie feeling. Website: No official website, but you can find info and pictures here. The village of Shawnee is in the middle of Wayne National Forest in southeastern Ohio. The closest campground is Begley’s ATV Campground in the nearby town of New Straitsville. They offer primitive camping and electrical hookups. Bring your favorite ATV, because Bagley’s offers access to plenty of trails, along with necessary ATV use permits. Rates are $12 per night with hookups. Ohio’s diverse cultural and natural landscape provides a wonderful getaway for all kinds of travelers. From abandoned towns to busy cities, it’s no wonder why Ohio tops many tourist’s lists. 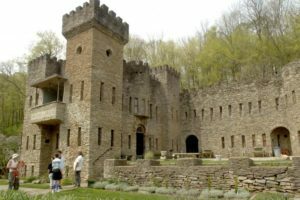 Whether looking for ghosts, scaling a replica castle, or just hanging out on the beach, there are enough activities in Ohio to keep you busy for some time. What’s more, Ohio’s gateway location makes it convenient to many other top RV destinations. As such, there are hundreds of RV rentals in Ohio. 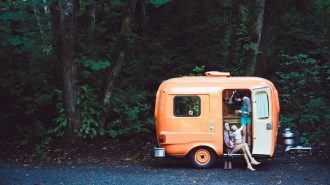 The Buckeye State is the perfect place to find an affordable RV rental and set off on an adventurous road trip. Happy camping!